Friday, May 26, 2017, is equivalent to 29th day of Sha’aban 1438 AH and shall be the day to look for the new moon of Ramadan 1438 AH. 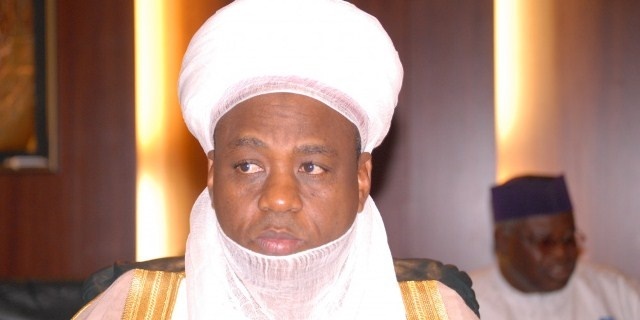 The Sultan of Sokoto, Alhaji Sa’ad Abubakar 111, has urged Muslim community in the country to be in the lookout for the new moon for the month of Ramadan on May 26. The Chairman, Advisory Committee on Religious Affairs, Sultanate Council, Sokoto, Prof. Sambo Wali, made the call in a statement in Sokoto on Thursday. “This is to inform the Muslim Ummah that Friday, May 26, 2017, is equivalent to 29th day of Sha’aban 1438 AH and shall be the day to look for the new moon of Ramadan 1438 AH. “They should report its sighting to the nearest District or Village Head, for onward communication to the Sultan,” he stated.